Going with the flow of energy as it comes through is most helpful in the coming days. Whatever comes to the surface of your consciousness should be met with love, compassion and understanding, patience and tolerance. Your loved ones are also in the process of awakening to their higher light and they need your patient and loving support as they begin to see the world with more clarity than before. You might have to take several deep breaths before responding to the unique ways this awakening within them will unfold. Remember that each person upon the planet is being stretched to the limit of their consciousness and endurance at this time. 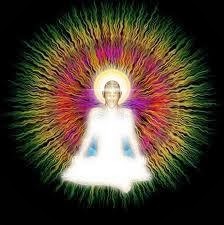 There is no end in sight for a respite from the increasing intensity of cosmic light coming in waves upon the planet. Everyone must go through the process of assimilation, integration and balancing within the human operating system. Those of you who read this have already passed through the majority of this process and are in a role of holding the higher vision for the rest of humanity. Many of you have already passed through the fires of initiation and have emerged on the other side, forever changed in a defining way, an empowering way. You now walk the Earth with humble heart, remembering well the testing times and how difficult it was to rise above the chaos to create a higher vision and to hold it high. Those who come after are having an easier time of it than did you, and this was by divine intent and design. By your courageous example, you have set the bar high and those who are in the throes of transformation have a safer path to follow, with many guideposts along the way. You have been diligently pursuing your divine calling and most of you are now or will be soon, in the position to be of great assistance to the seeking ones. It is the light and the love in your heart that shines so brightly now that it resembles the light of the sun. From our higher perspective it is easily discerned and each of you is easy to locate upon your planet. By your light and by your brilliance your soul signature is known. As the old gives way to the new, trust that the universe is unfolding exactly as it should and that you are in the right place for these times. Sometimes, sacrificing your position on an issue and viewing it from another direction will bring enlightenment. You are all being reborn into a new spiritual consciousness and exploring the alchemical process of transmutation, creating new forms, new bodies that are less dense and more filled with light. 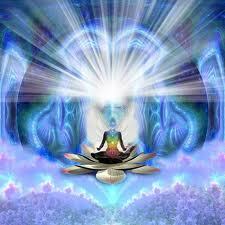 You are becoming the embodiment of your enlightened soul. As you yield to the changes taking place within you, within your life and in the world, you are realizing how liberating the whole process really is. You are finding yourselves leaping into the unknown, trusting that you will emerge renewed and invigorated as the old gives way to the new. You are ready to take your new place in your new world with zest, enthusiasm, passion and confidence. The path before you is cleared for the new to come into manifestation. Continue to shine your light as a beacon for others, that you may help to light their way home. Be in gratitude for the illumination that now resides within your being, that luminous being that is the true light and beauty of your soul. Feel the joy in the realization that you are enough and that you always have enough – of love, abundance, prosperity, creativity, energy and miracles. You are rich in the gifts of the spirit and have learned how to manifest these into your life and how to share these with others around you. Take time to acknowledge and appreciate all that you have experienced and accomplished, knowing that it helped you move to a higher level of awareness, an awareness that is filled with a new spectrum of unlimited possibilities in your life. Celebrate the moment!